This year's focus is sponsoring free educations for girls engaged in child labor in Andrah Pradesh, India. 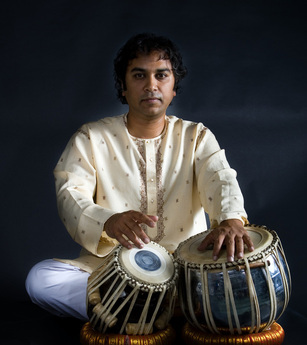 Abhiman Kaushal will share tabla solos assisted by Nasir Syed, Sitar, and Vocalist Vignesh Manohar. The concert features dynamic compositions, rapid flowing and pulsating patterns showcasing complex rhythms of tablas along with it's tonal beauty. 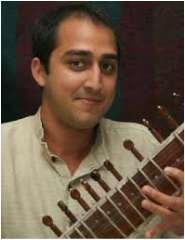 Nasir Syed pursued undergraduate and graduate studies in sitar and music performance at both UCLA and UCSB. He has been studying sitar for the past 17 years, and has recently emerged as one of Ustad Shujaat Khan's most promising disciples. 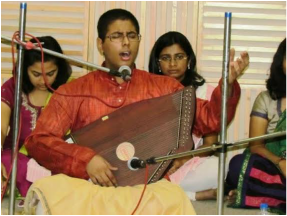 Vignesh Manohar is a passionate and accomplished Indian classical vocalist who has been a disciple of Tushar Chatterjee for the past 13 years. Revered by many as the embodiment of wisdom, peace and unconditional love, Amma Sri Karunamayi will be giving discourses on the fundamental truths that support all faiths as part of her twenty-second World Tour in 2017. 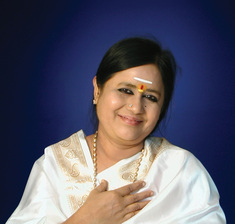 All are invited to hear her inspiring message, join with her in singing devotional songs, and receive the blessings of her divine knowledge and love. 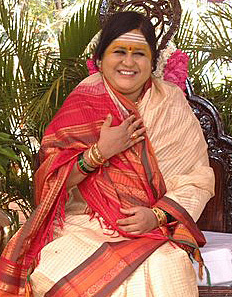 Her charities include free medical and free education, among others, to those in need in rural India. All Faiths Invited. 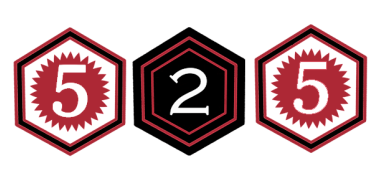 Programs are free, with the exception of the One Day Meditation Retreat which requires a fee.